Local Dementia Action Alliances (LDAA) in the South West are developing across the region at local levels, with some very established and others just getting started. You will find there are a variety of structures which reflect the needs of the local community. 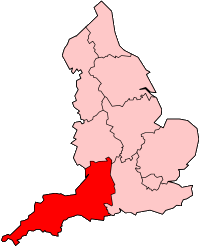 Some are area or county-wide alliances which support a wide range of local communities and in other cases they are stand-alone. To find LDAAs set up in the South West follow the links below. If you would like to get involved with a LDAA or set up a new one in your area please look at our Tips & Examples, or get in touch.